Emma Watson: "I Have Been Drunk!" After Daniel Radcliffe came forward and admitted that he struggled with alcohol, most of the world began imagining the "Harry Potter" set as being like some kind of booze-soaked flophouse out of a Tom Waits song. Or at least, David Letterman did. Last night, the talk show host grilled "Harry Potter" star Emma Watson first about Radcliffe and then about her own experiences with booze. The flustered 21 year-old (she was quick to remind audiences that she was, in fact, of legal drinking age) stammered before finally announcing "Yes! I have been drunk!" Her pronouncement was met with applause from the amused audience. In regards to Radcliffe, however, Watson says she saw no indication that his drinking did anything to affect his work, praising him as a consummate "professional" in every way. 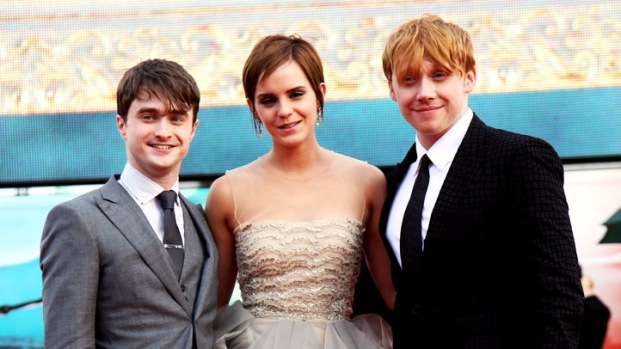 Watson was in New York for the premiere of the final film in the Harry Potter franchise, "Harry Potter and the Deathly Hallows Pt. 2," which opens everywhere this Friday.